There has been much speculation about the changing face of health care in the United States since the Affordable Care Act was passed by the Obama Administration in 2010. Divided opinions on the provisions of ‘Obamacare’ have been well-represented by the rife inconsistency across the nation with regards health care exchanges, with some states opting for state-based exchange system, while other states have opted for federal-based initiatives. As the October 1 deadline draws nearer, much of the attention has focused on the requirement for all US citizens to carry health insurance coverage and the bearing that will have on employers. The reformed regulations are also expected to affect workers’ compensation insurance but the extent, nature and desirability of this impact remains markedly unclear. In the meantime, here are some changes in Workers’ Compensation we are sure to see. Each year, millions of workers’ compensation claims are filed, costing employers billions. However, not all of these claims are due to work-related injuries. In some cases, employees without adequate insurance coverage would opt to use their workers’ compensation coverage to cover treatment for various conditions that may be pre-existing. Under the Affordable Care Act, a large contingent of previously uninsured workers will have the right to health insurance coverage of some form or another, thus reducing the need for workers’ compensation claims. The increase in insured employees will also lead to a preventative approach, from both employers and the workforce, all aiming to develop a healthier workplace and lower the number of filed insurance claims. For Businesses, taking a preventative approach by introducing initiatives such as wellness programs should be regarded as something they do FOR employees and not TO them. At the end of the day, a healthier workforce means health insurance claims are less likely, while taking an interest in the well-being of the workforce can also help harness working relationships and ultimately lead to better results. The Affordable Care Act legislates for an increased number of insured US citizens and in light of this increase, the number of practitioners and physicians is set to also increase, particularly in rural areas. While there have been suggestions of how the actual care will be affected by a much higher proportion of patients, the long-term ideals of the ACA include increased facilities and medical professionals, which will ultimately result in better care in some areas that may have lacked facilities in the past. The provisions of the ACA also dictate the introduction of Electronic medical records allowing Physicians to diagnose and treat workers’ compensation claims more efficiently and accurately. This emphasis on the holistic treatment of chronic care could ultimately help claimants to return to work quicker, thus benefitting Businesses. An electronic database could also help reduce the likelihood of medical errors and subsequently increase the quality and efficiency of care. While speculation over how the ACA will affect workers’ compensation coverage continues, it is important for Businesses to understand that there will be changes. Understanding mandate deadlines and the provisions of the act itself is one thing, but understanding the actual effects of Health Care Reform is another, which will involve time, effort and commitment from employers. If you’re looking to review your Employee Benefits program ahead of January 1, why not ask one of our experts for their advice. Property insurance is important in protecting your restaurant in many instances of damage to physical property or vandalism. 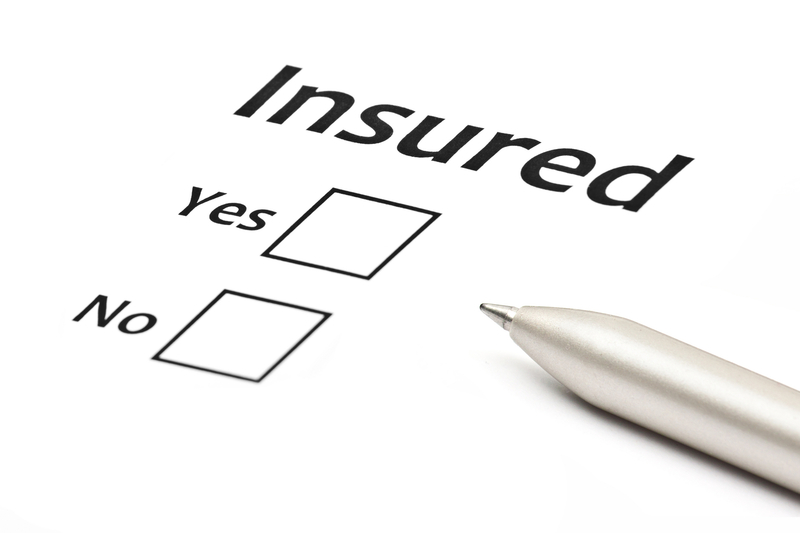 Many insurers only cover certain types of damage, so pay close attention when choosing your insurance. Insurers may offer different insurance plans when it comes to natural disasters such as storms and floods. The restaurant business can be very unpredictable, so having loss of business insurance can cover many of the finances lost in the event your restaurant should have to shut down. Loss of business insurance, however, can be costly. Depending on the severity of the loss of finances, you may find yourself breaking even. Food contamination insurance is important for you to have in the event that there is a power outage due to electrical errors or a storm. This insurance will cover the cost of the spoiled foods in the refrigerators and freezers. Most states require that a restaurant carry some type of workers compensation plan. As an employee in a restaurant you may be exposed to potentially hazardous situations, such as close proximity to fire and chemicals. In the event that a worker incurs a work-related injury, workers compensation insurance will be able to protect your business. General liability covers the large majority if situations where a customer would want to sue the restaurant. There are several scenarios where a customer could fall into harms way, it is important to be prepared. If your restaurant has a liquor license you should have liquor liability to protect your business in the event that a customer consumes too much alcohol and injures himself or others. Have we answered your insurance question? If not, head over to our website or ask an expert! Restaurant Workplace Accidents Are COSTLY! We all know that safety is important, but are you aware just how costly a workplace injury can be? According to the Occupational Safety and Health Administration (OSHA), the average eye injury costs $1,463. It may not seem like much money, but the extra expense to pay for injuries has a powerfully negative effect to our restaurant’s bottom line. Why is profitability also an important issue to you? The only way that can stay in business is to operate at a profit, and that ability can be threatened by a serious workplace injury. It may be surprising to hear that most companies do not have a high profit margin—3 percent is about average. Expenses take a large chunk of the income, and competition limits how much we charge our patrons. At a 5 percent profit margin, an extra $20,000 in sales is needed to compensate for a $1,000 injury. If the profit margin is nearer to 1 percent, an additional $100,000 worth of new income is necessary to maintain that profit level for the same injury. As you can see, that adds up to a lot of extra income just to compensate for a single injury. And we all know that we can’t just find more customers because we need the extra income. Thus, every time a worker gets hurt on the job, other employees are affected, too. The company may be forced to make difficult budget decisions such as cutting hours or jobs, plus some employees will need to work extra hours to make up for the injured employee’s lost time. Also, recovering from an injury can mean time away from work, reduced compensation, painful rehabilitation and frustrating adjustments to daily life. Though operating at a profit is essential to our success, our top priority is to keep our employees safe and healthy. That’s why we are counting on you to help practice good safety principles, including following all safety procedures, even if they seem unnecessary or slow you down. Safe work behavior will contribute directly to our bottom line as well as to everyone’s job security. By observing safety precautions, we can limit accidents.